The Government’s national Stoptober campaign starts on Monday, which is a 28 day challenge aimed at stopping people smoking. Middlesex University psychology expert Mark Coulson argues that smokers must remember that smoking is a dependency as well as an addiction. Therefore giving up has physical as well as psychological effects, and they should be prepared for both. While smokers may replace nicotine with a patch or gum to help with the physical side of things, the psychological side is often neglected. First rule: Limber up. If you go from 20 a day to nothing, bad things are going to happen. Ease into the process so the shock of withdrawal doesn’t make you fall at the first hurdle. Second rule: Recidivism does not equal failure. Chances are, at some point you will smoke a cigarette during Stoptober. That’s fine – few people manage to give up without the occasional slip. Third rule: Don’t label yourself. Labels are for cigarette packets (have you read them, by the way?) Just because you have one cigarette does not mean you will never be able to give up. Giving in to temptation is not something that only happens to you. You are not a hopeless cause. You do not have an addictive personality. You do not lack willpower. You are pretty similar to most other people, so don’t be precious about your struggle. Fourth rule: Positive rewards. Every time you don’t smoke when you might normally have lit up, celebrate! Sharing positive emotions with others amplifies them, so give yourself a metaphorical pat on the back, and let others know you resisted the temptation once more. We associate giving up with negative experiences, but people don’t really learn from negative experiences. Make the experience of resisting a positive one and you will find the whole process a whole lot easier. to see how massive this industry is, and how gigantic the choice is for these superb products is. What really gets my goat, though, are the growing number of stories in the media saying how deadly they are. Apparently Big Pharma – the producers of stop-smoking little helpers are funding an anti e-smear campaign – less so the fag companies (as you might presume) – as many cigarette manufacturers are investing in them. I can really appreciate the health gains of e cigarettes. Just complaining – that there is always some secret accord with these people trying to censure electronic cigarettes. .. the authorities could do a lot more to support them. This makes me depressed. 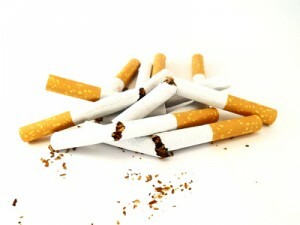 Thanks Middlesex University psychology expert tips on dealing with Stoptober | talkhealth Blog.